Bold and beautiful, Jennifer Aniston is absolutely no stranger to the Hollywood film industry. What we love the most about her is not only her genial personality, but also her home! Overlooking the Beverly Hills right on a hillside is where her majestic former home sits before her recent big move to Bel Air. The house interior was designed by Stephen Shadley over the span of two and a half years, who also worked on the homes of two other infamous celebrities -- Diane Keaton and Woody Allen. The interior of the house is an epitome of a cosy tropical home. Complemented with a strong Asian Balinese feel, its interior perfectly portrays the tranquil Zen vibe, just ideal for an indoor retreat! 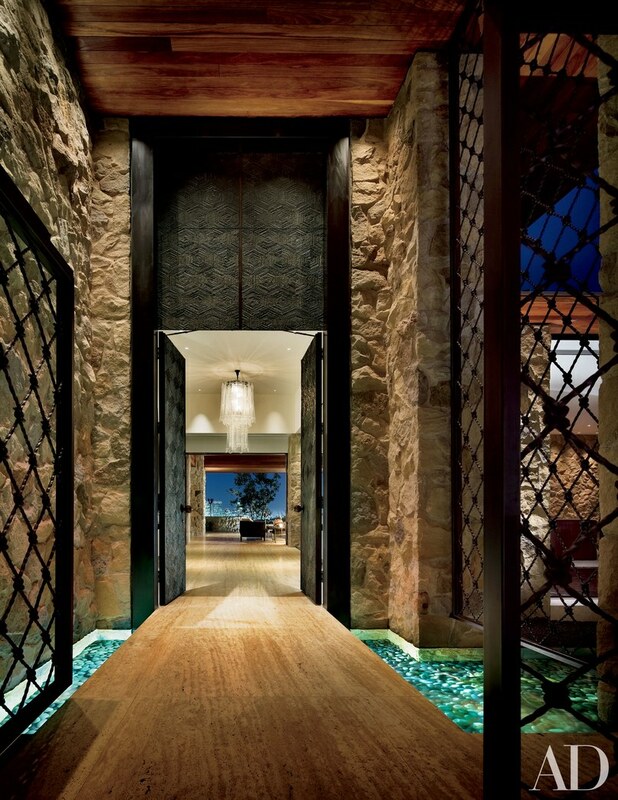 We couldn’t be more in awe with the grandeur entrance of the house; A travertine bridge over a koi pond right before the grandeur 14-foot-tall doors -- giving us a glimpse of the opulent Balinese beauty already! Aniston calls the house “Ohana” which means extended family. The name certainly fits, as the house is a blend of a serene getaway and a social hub that brings the people together through its design. An abode made purely for entertaining, the 10,000 square-foot manse boasts two intimate family rooms, two kitchens, a spacious dining room, a game room, and nine lavish bedrooms with rich selections of gorgeous fabrics and Brazilian Cumaru palette. 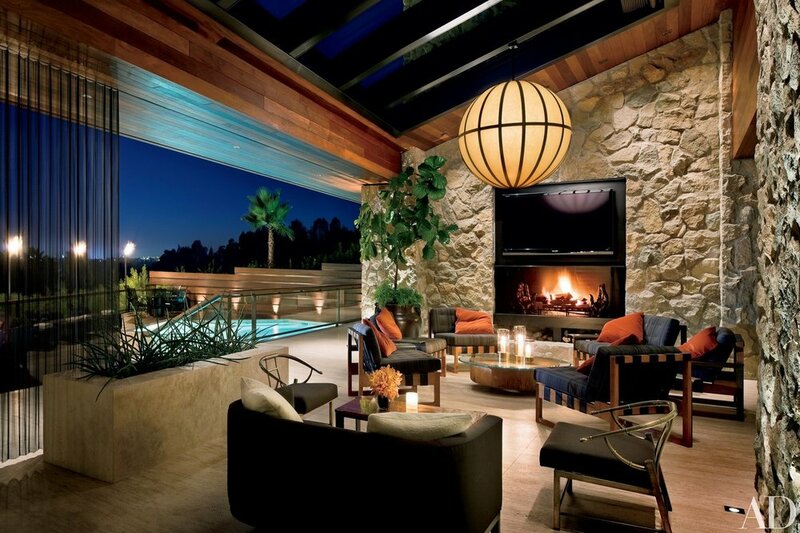 The warm hue of the interior sets the criss-cross definition of the infinite Zen and the old-fashion Hollywood vibe -- along with the array of natural materials that screams the tropical, raw, and unpredictable part of the interior. Such a glamorous homely retreat we’d say! Another thing we love about Aniston’s home is the way it flows…open and spacious, the family room, the kitchen, and the game room are located side by side -- ideally made for hanging out and the parties. Walking further into the house is where the bedrooms are -- personal, reserved, and a more silent part of the house connected to a private lush of garden. Aniston remarked, “I can’t tell you specifically the feeling I had when I walked through the doors for the first time, except to say I knew I was home.” as she admitted having to instantly fall in love with the property the second she set her eyes on it. Well, we certainly feel the same way!